Over the years a number of our clients have expressed concern about the various scams and fraud which they heard about related to real estate in Thailand. While there is certainly a presence, small-scale real estate fraud is not as widespread as one may think or hear. A probable reason for this is most of the time when someone loses money on a property rental or sale, they immediately call it fraud or a scam when in fact the person is often times at fault. 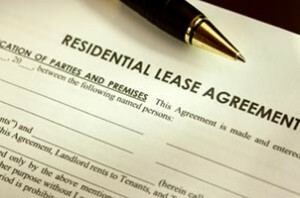 The language barrier is always an issue if the tenant and landlord are not speaking the same language and most commonly leads to the following. The most common issue in Bangkok often described as a scam is when the tenant does not get the security deposit refunded when they move out of a rental property. If it hasn’t happened to you, most foreigners who have lived in Bangkok have heard stories about landlords not refunding security deposits and how the landlord is ‘scamming’ them. In reality, a large percentage of the times the security deposit is not returned is for legitimate reasons as the purpose of the security deposit is to protect the landlord from having to pay for any damage caused by unusual wear & tear to the condo or the furniture included in the lease agreement. Before you Rent a Condo in Bangkok Know This: Whether you consider it to be a scam by the landlord or not, if you break the lease terms by moving out early or damaging the property YOU WILL NOT RECEIVE YOUR SECURITY DEPOSIT BACK. This may be obvious to some, but unless you’re booking a short-term rental through a reputable booking agency such as Agoda or using another service with anti-fraud systems in check such as AirBNB you should view the property before putting down any kind of deposit. For long-term rentals there is very little reason to pay advanced payments unless you are already physically there and would like to rent the property. If anyone is pressuring you to put money down for a Bangkok property rental before you touch down in Thailand it is most likely a scam. Since Condominium units are owned by individuals you will be paying the deposits and rent directly to the landlord when renting a property in Bangkok. In some cases condominium owners put their property in the hands of property management company, an agent or relative but for the most part all money you pay will be directly deposited into the landlord’s bank account. Your agent will always give you the property owner/landlord’s bank account details and a copy of their identification or meet with you and the property owner where you can hand them the cash yourself. Apartment buildings (single owner owns all units) will generally take payment directly at their front desk. There is a greater chance of getting scammed by direct owners (or people who claim to be the direct owners) than agents. Most properties marketed by Bangkok real estate agents are through reputable property owners, some who own several properties and seasoned real estate investors. The real estate companies in Bangkok will not market properties which the ownership is in question. In addition, when you deal with an agency, the paperwork and transfer process will be easier and less stress for you. If you’re planning to buy a resale property in Bangkok through an agent or from an owner directly, it is HIGHLY RECOMMENDED you hire an attorney. If you do not hire a lawyer it is your responsibility to do your due diligence when purchasing a condo. This will ensure that the purchase will be valid and allow you to find out if the property owner, developer or juristic office of the condominium is not giving you all the vital information. Whether you are trying to negotiate a property sale and transfer yourself or you have an agent and/or lawyer aiding you, you can always visit the land department and verify the seller is the actual owner of the property for sale. 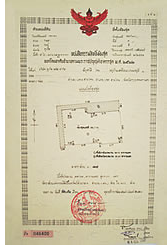 You need the Chanote and the identification of the property owner to verify this at the Thailand Land Department. Any legitimate Thailand property seller will be able to and have no problem sharing a copy of the Chanote (title deed) with you. If you use a reputable real estate agent and hire an attorney you will not need to have much personal knowledge about the rules and regulations of purchasing property in Thailand but if you plan to do it yourself you better be very knowledgeable. You can use online resources such as this comprehensive guide to Thailand Real Estate Laws. We have conducted the majority of our business in Bangkok where fraud is not a big problem. Outside of Bangkok, buying real estate can be more risky due to a higher prevalence of scams and unscrupulous business practices. You must exercise the utmost caution when renting or buying real estate outside of Bangkok. Land purchase, especially prime land such as beachfront land can often times be very complicated due to many factors. You should always have an attorney at the very least when trying to buy property outside of Bangkok.